If this is you — you’re not alone! I would say that people who love vegetables are definitely the minority here in the US. Our culture doesn’t exactly glorify vegetables or make it convenient for people to find fresh, deliciously prepared vegetables easily. Hamburgers? We’ve got that covered — a joint on every block. Twenty-ounce, sugary coffee drinks — ditto. But what about roasted cauliflower or a goodies-filled salad with an amazing dressing — or a perfectly fried veggie tempura? Endangered species. Just try and find a healthy, delicious option on your evening commute home. I dare you. It’s tough. Even here in Portlandia. I get why people hate vegetables. Because I used to be one of those people. But thankfully, somewhere in my 20s, a friend talked me into ordering a salad I grew to crave. I can still remember it: crisp baby greens, grated carrot, kalamata olives and a housemade pinot noir dressing. Up until that point, I considered salads to consist exclusively of iceberg lettuce and bottled Italian dressing. Carrots had the sole purpose of accompanying Buffalo wings. And kalamata olives — what were those?! I’d always kind of disliked the bland, vaguely salty flavor of black olives, but kalamatas? Love at first bite. That single salad — which I went on to order dozens of times — was a sort of gateway drug that led to the exploration of and habit-forming behavior involving other vegetable-focused cuisine: a chopped spinach salad with gorgonzola and walnuts at Portland’s old Delphina’s restaurant. Zucchini fries at Hermosa Beach’s Good Stuff. A quick pasta dish I learned to make with chopped tomatoes, garlic and basil. All of a sudden, the person who didn’t eat a single vegetable during her entire time at college was not only ordering vegetables in restaurants, but cooking with them too! Years later, I’ve come to experiment with and enjoy a wide variety of vegetables. However — if I’m being perfectly honest, I’ll tell you I’m not the virtuous veggie lover people may think I am. I mean, I’m not the person who, after a long day, can’t wait to settle down with a bowl of plain steamed cauliflower and bok choy. I’m just not that kind of girl. If you are that kind of person, then you can probably stop reading right now. Today’s post is for the people who want to love veggies — they really, really do — but they’re just not there yet. I offer today’s post as advice from someone who is always working to cultivate her inner veggie eater — the part of me that needs to be persuaded, finessed, and seduced. Sometimes, even tricked. Listen — you don’t have to go from a veggie-avoider to veggie-lover overnight to start living a healthier life. If vegetables aren’t a regular part of your diet currently, then make a goal of adding in a couple of veggie dishes a week. For example, if you’re having a burger and can’t yet give up the fries, order a side salad and eat that first. Or start making breakfast smoothies and start adding a handful of spinach to the blend (see below). Breakfast smoothies are perfect for blending in extra vegetables so you can increase nutrients and fiber— without compromising on flavor. 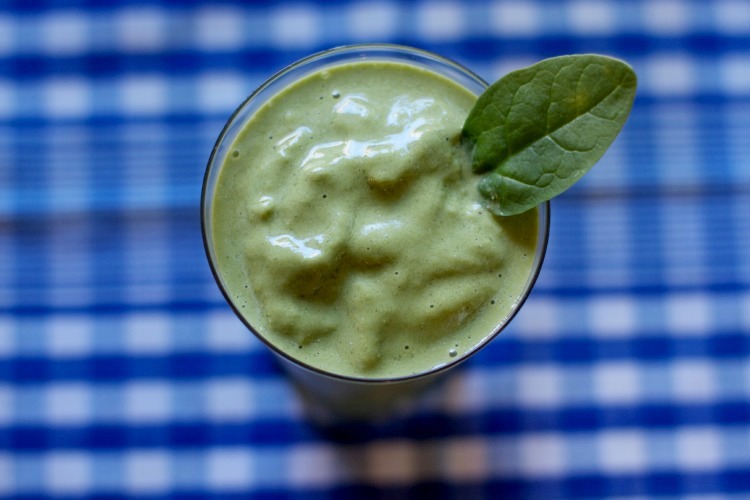 If you’re just starting out, add a handful of spinach and maybe even a dollop of almond butter to your fruit smoothie. The result will be a creamy, satisfying smoothie that has you going for hours. I can’t tell you how many drawers full of once-beautiful produce I’ve ended up throwing in the compost. It fills me with shame just thinking about it. In my house, an un-prepped vegetable is almost always destined for the heap instead of the plate. That’s why I try my best to prep and chop on Sunday, storing our carrots and red pepper strips and chopped zucchini in glass containers for use throughout the week. It makes a huge difference when you can just grab-and-go when making lunches and dinner. 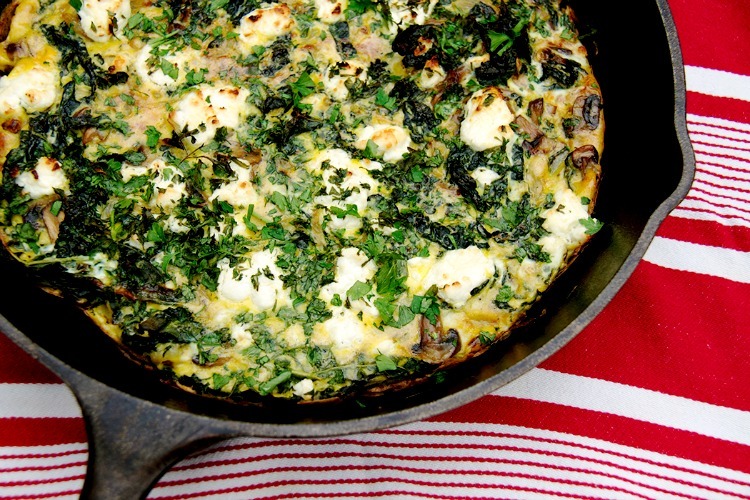 If you eat eggs, frittatas are a great way to incorporate extra veggies. Not familiar with a frittata? It’s like a quiche without the crust. Or saute some chopped vegetables and fold into scrambled eggs or an omelette. Do you like garlic? If so, you can pretty much make any vegetable taste good by sauteeing it in some extra virgin olive oil with some garlic and red pepper flakes. My favorites to prepare this way are zucchinis (sliced into half moons or diced) and kale. Even better: throw in some lemon zest and/or a squeeze of lemon juice and finish with some flaked sea salt. A store-bought or restaurant salad that’s mostly greens — and low on the goodies — makes me crazy. Don’t people know that a good salad is all about digging for treasure?!? That’s why I usually pack my own for lunch. 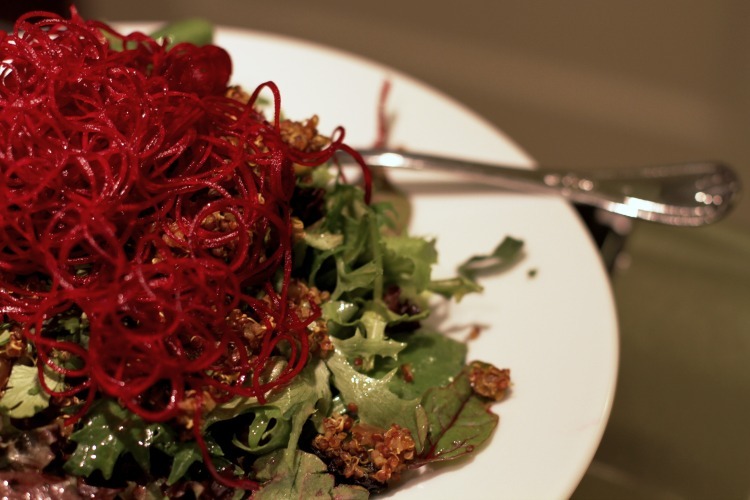 Don’t get me wrong — I like greens — but a nutritious salad-as-entree needs much more than just greens and a good dressing. I often add several kinds of chopped veggies, a quarter-cup of pistachios or pumpkin seeds, and a protein such as grilled chicken. Plus, the dressing is KEY. More on that later. Sometimes it’s fun to get fancy and cut your veggies into interesting shapes, such as cutting carrots or scallions on a slant. Or slicing kale or basil into tidy little ribbons. One of my favorite kitchen tools is a spiralizer, which turns instantly turns raw beets and carrots into a magical ingredient that even kids will find fun and fancy enough to eat. Cauliflower really used to gross me out. 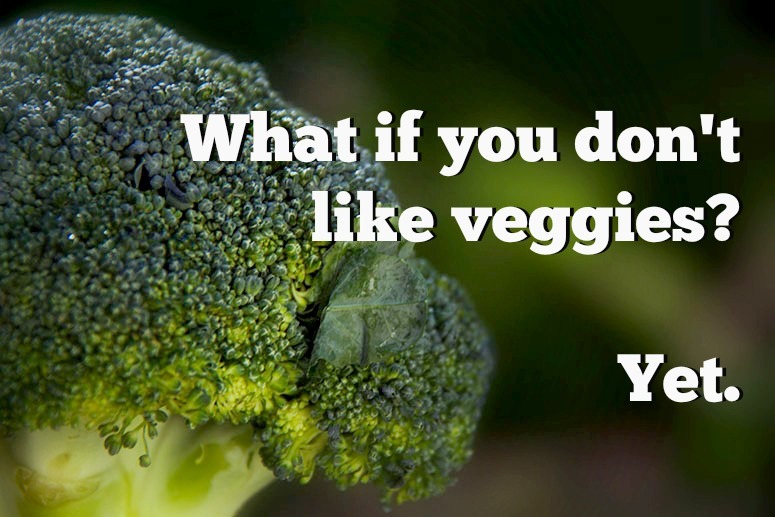 Especially the raw, oversized florets you usually find on a veggie tray at a buffet. 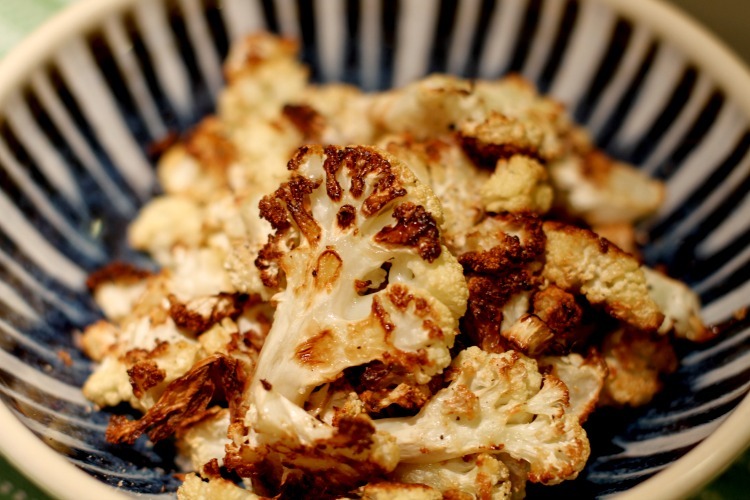 I first roasted it after reading about it in Molly Wizenberg’s “A Homemade Life.” I was skeptical while slicing the cauliflower and tossing it with olive oil, then stunned when it came out of the oven. It tasted like french fries. Well, maybe not like truffle fries from Little Big Burger, but good. Seriously good. I have since discovered that I love almost any vegetable roasted: favorites include broccoli (which I’ll admit I don’t enjoy steamed), bell peppers, and brussels sprouts. Don’t worry about dropping $200 bucks to start your spice collection from scratch — you can do a lot with a few key spices and condiments. For starters, try ground cumin, oregano, cayenne, thyme, curry powder, red pepper flakes, and chili powder. And a decent sea salt, such as Maldon or Oregon’s own Jacobsen Sea Salt. One way to incorporate the spices is to saute some chopped onion in olive oil until it’s translucent (or even browned, for more flavor). Add 1/2 teaspoon of cumin or other seasoning and stir around in the onions and oil for a minute or so. Then add your chopped veggies and cook until crisp-tender (or softer, if you prefer). Finish with a squeeze of lemon and some sea salt. Delicious. I loathe store-bought dressing. I truly find it disgusting. All sorts of weird textures and aftertastes. No wonder no one in America likes salads — it’s because they’re drenching them in commercially produced dressings made with industrial ingredients, artificial flavors and low-grade oils. Do yourself a favor. Make your own coffee at home for a week and use the money you save to get a decent olive oil and balsamic vinegar. 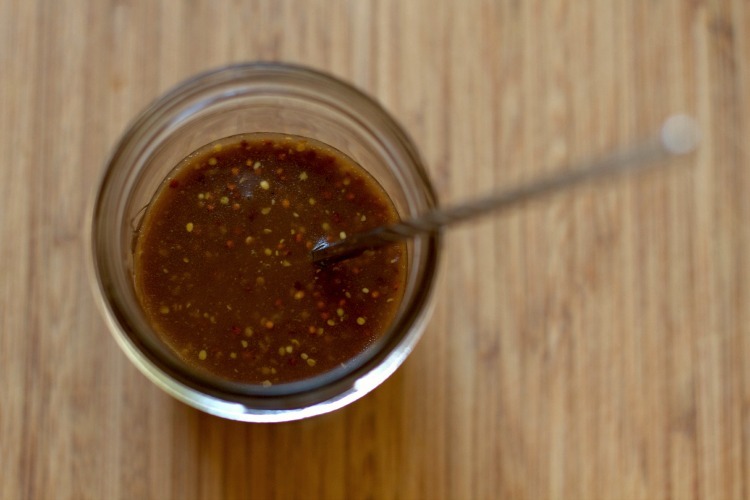 Then make yourself a killer dressing so you can toss it with salads or drizzle over cooked vegetables and protein. It takes mere minutes, people! If you need a recipe, click here. 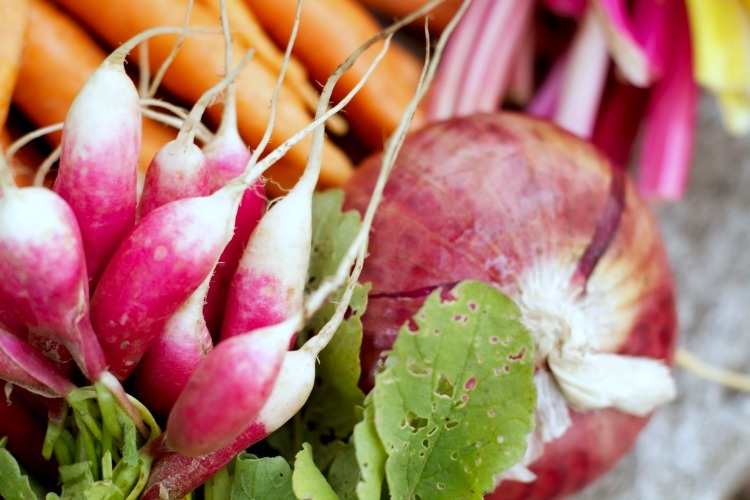 I hope these tips inspire you to venture out further into vegetable territory — let me know how it goes by posting a comment below. I’d love to hear from you!